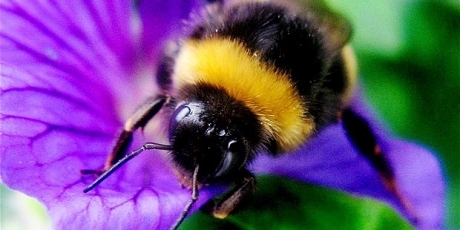 We call on you to listen to experts from around the world and reverse the approval of the National Farmers Union’s request to relax the ban on the neonicotinoid pesticides blamed for the disastrous fall in bee populations. The government has just allowed bee-killing pesticides to be unleashed across Britain's farms, threatening the butterflies and bugs we rely on to grow our food. Scientists' warnings got these pesticides banned across the European Union, but the government has caved in to the powerful pesticide industry and the National Farmers Union to let them be used here again. It's up to us to stop this madness -- if we continue to poison our pollinators, the hedgerows, fields and fruit trees of this country will end up silent. Overturning a decision like this is going to take an unprecedented number of us speaking up. But we can do it:nearly 3% of British internet users are getting this email. If each of us signs and gets just one friend to sign we can reach 6%, if each of us gets two people to sign, we can reach 9%, etc etc. Sharing the petition online could have the ripple effect we need -- click to sign now and share on Facebook, Twitter, email, everywhere.